This is a full set of alphabet letters and numbers from 1-9. The letters and numbers are 1/4" (6mm) high. 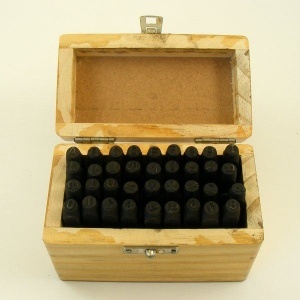 This set is ideal for security marking items like horse tack, and for adding names or initials to your leathercraft projects. 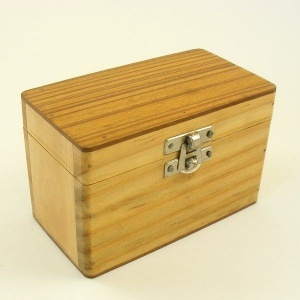 Please note that this is a budget priced set - the wooden box that houses them is useful but not very attractive! * This set weighs nearly 2kg, so please note that it would be expensive to send outside the UK.